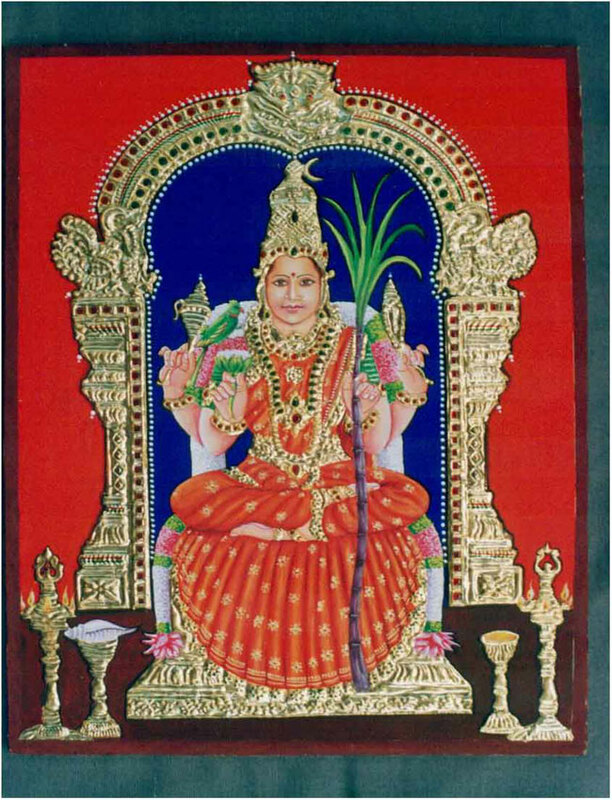 Tanjore paintings are one of the most ancient forms of ART & CRAFTS paintings in India especially in South India. The creation of Tanjore paintings involves a lot of dedication and concentration. The paintings are well-known for their decoration using semi-precious stones and gold foils. 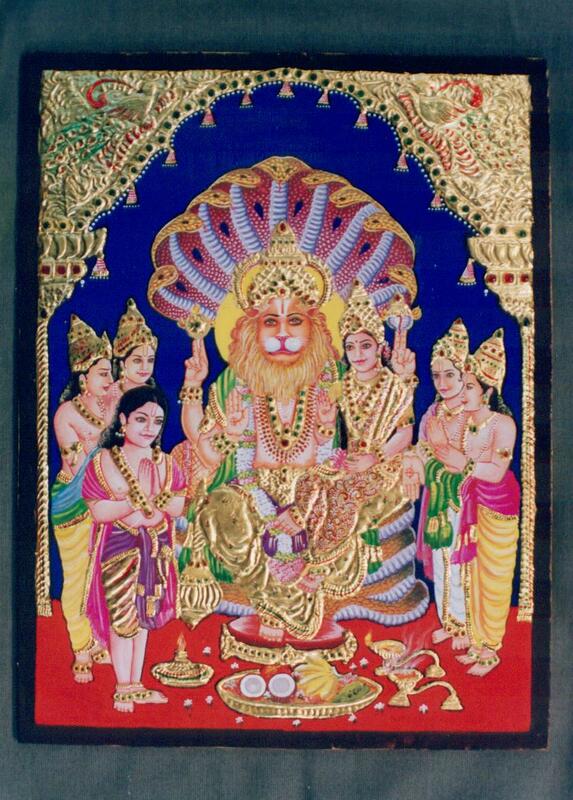 The paintings are artistic, naturalistic and depict the Indian mythology. ©2004-2005 Astrouniverse.com All Rights Reserved.